Season 6 is now out on DVD and Blu-ray. Ready for more exploits by David Duchovney? 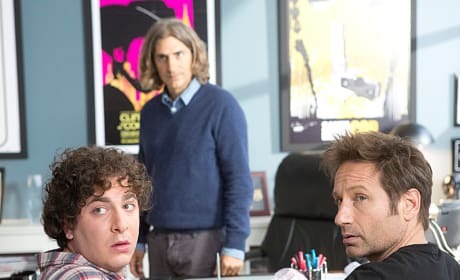 Not everyone in the writer's room is happy when Hank gets his first episode assignment on Californication. Hank tries to win Karen back when he realizes that she's the love of his life on the season 7 premiere of Californification. 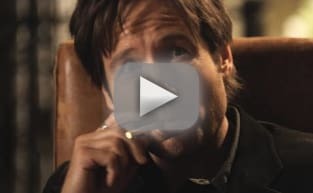 Hank tries to figure out his future and where Faith fits in on Californication. "I'll Lay My Monster Down" is the 12th episode of the show's sixth season. 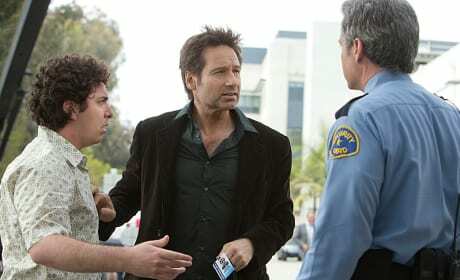 Will searching for Atticus bring Faith and Hank closer together on Californication? "The Abby" is the 11th episode of the show's sixth season. 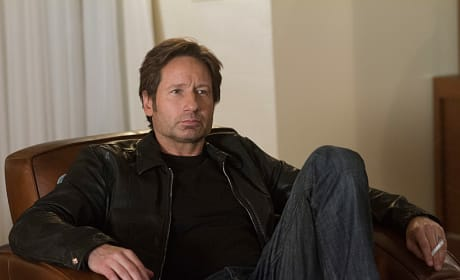 Hank is surprised to find that Faith has moved on on Californication. "Blind Faith" is the tenth episode of the tenth episode of the show's sixth season. 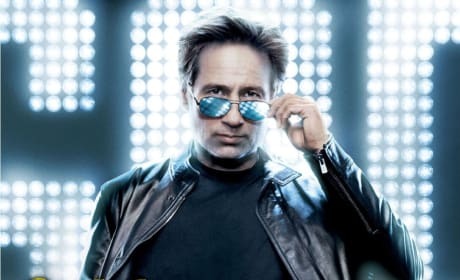 Rob Lowe is back on Californication. Gotta love this actor in the role of Nero. 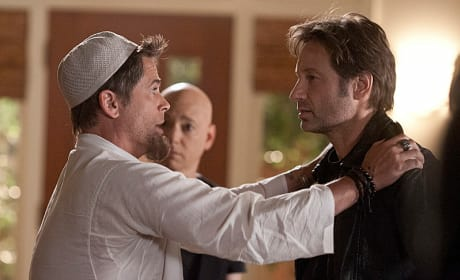 Pictured in this Californication scene: Evan Handler as Charlie Runkle and Stephen Tobolowsky as Stu Beggs. Becca isn't doing to well these days. Can Karen and Hank fix that? 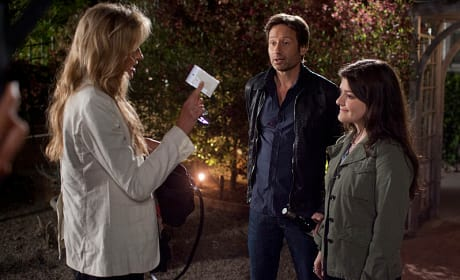 Faith and Hank hang out in this Californication episode. The image is courtesy of "In the Clouds." Atticus Fetch gets up in Charlie's face in this scene from the episode "Rock and a Hard Place."